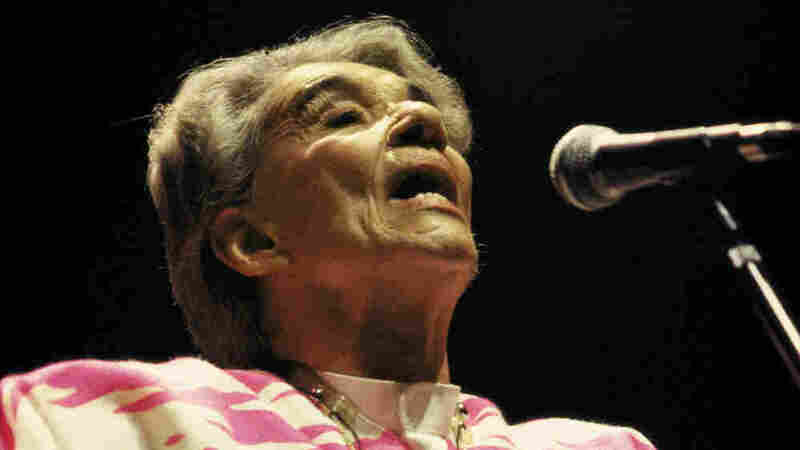 Chavela Vargas: The Voice Of Triumph Vargas was born in Costa Rica, but has a voice tailor-made for singing Mexican rancheras, boleros and corridos. For many Mexicans, her versions of these songs are definitive. Even at 91, Vargas still possesses a voice that reflects struggle, defiance and ultimately triumph. 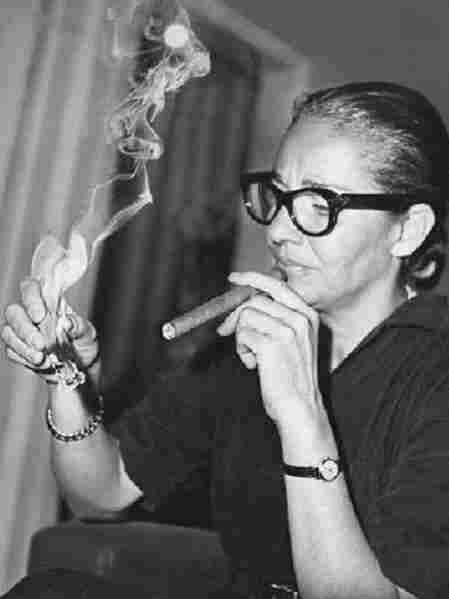 Chavela Vargas is known largely to an older generation of Latin music fans, but her voice and story can resonate across ages and cultures. At 91, her singing wavers a bit, but her voice still radiates struggle, defiance and ultimately triumph. She was born in Costa Rica, but Vargas has a voice tailor-made for singing Mexican rancheras, boleros and corridos. These songs are like miniature operas, with over-the-top expressions of tragedy, heartbreak and redemption. For many Mexicans, her versions of these songs are definitive. Vargas says she didn't start singing until the early 1950s, when she was well into her 30s. "I dedicated myself to singing boleros, rancheras, corridos," she says. "I sang a little bit of everything." At that time, Mexico was in the midst of an artistic explosion, particularly in film and music. Mexico City nightlife was overflowing with nightclubs, dancing and drinking. Life was un gran festejon, a big non-stop party. Vargas joined the party on stage and off with corridos like "El Ultimo Trago" (The Last Drink). The words to that song say, "Drink this bottle with me. Let's not stop until the last drink. ... Let's hope no one sees us together, in case you are embarrassed" — the latter line reflecting another part of her life that played out in song. Vargas challenged mainstream Mexican morals by dressing as a man, smoking cigars and carrying — and shooting — pistols. She caused sensations with her public liaisons with women, including a brief affair with painter Frida Kahlo, and she purposely did not change the gender in songs written by Mexico's most famous male songwriters. "What made her famous was 'Macorina,' " says Marvette Perez, curator of Latin-American Culture and Music for the Smithsonian Museum of American History. "I don't think there could be a more queer song for a woman to sing. The song says, 'Ponme la mano aqui, Macorina.' Put your hand right here, Macorina. And whenever she sang the song, she put such sexuality, desire and kind of sensuality into it that you knew why she was singing, why she was singing and to who she was singing it. She was singing it to a woman." Eventually, the drinking, smoking and womanizing took its toll. "Back then, when I was drinking, the drinking affected my throat. The drinking affected my life, everything," Vargas says. "The alcohol is one of the most evil things in the world. So is the cigarette, and I let all of that go from my life for my art." In 1979, Vargas retired from the stage and public life, and entered into a life on the streets, much of it spent in an alcohol-induced stupor. It was only when she was taken in by a poor family who didn't know who she was that she was nursed back to health and clarity. The 1990s saw a healthier and more determined Vargas return to the stage. Soon, she was back in cabarets and giving concerts, while Spanish film director Pedro Almodovar used her and her music in his films. In a fantasy sequence in the 2002 Frida Kahlo biopic starring Salma Hayek, Vargas shared a drink and a song with her former lover. Looking back, Vargas says it wasn't easy to be a lesbian in Mexico in the 1950s and '60s. But as she describes how she got through it all, her words sound like the intensely emotional lyrics of the corridos, rancheras and boleros that she loves to sing. "I had to fight against so many things — fight against the current, as they say," Vargas says. "I had to fight all of them to make something of myself, to triumph." At 91, Vargas is still looking to the future. She says her next project is to put her voice to another dramatic song form — an album of Argentine tangos.